Learn about the legends and age-old German traditions honoring Nikolaus of Myra, the patron saint of children and sailors, who dedicated his life to serving God and helping others. 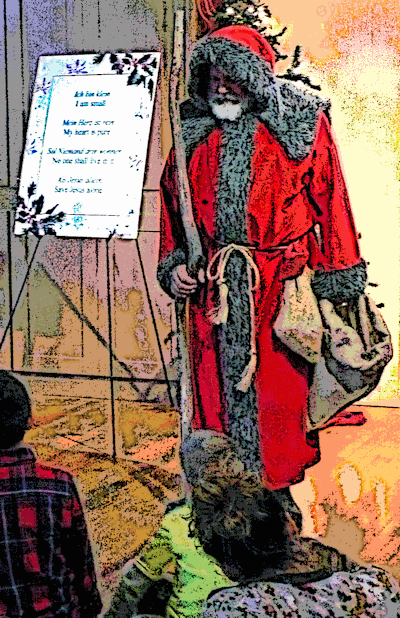 St. Nikolaus visits the Sophienburg Museum on the eve of his saint day to see how the children are doing. Bring your children and grandchildren to see him. December 5, 2018 — 5 and 6:30 p.m.
Reservations are required as space is limited. Telephone 830-629-1572, 10 a.m.-4 p.m. Tuesday-Saturday.